Union Finance Minister has launched a facility for MSME credit space to apply online for MSME business loans in 59 minutes at psbloansin59minutes.com. This common online web portal will enable in-principle approval for MSME loans upto Rs. 1 crore in just 59 minutes from SIDBI (small industries development bank) and 5 other public sector banks (PSBs). Now any person can apply online for MSME business loans in 59 minutes. On 25 September 2018, Sh. Arun Jaitley announces 3 major initiatives including quick loans for the MSMEs (micro, small and medium enterprises), financial inclusion index and Jan Dhan Darshak app for geographical mapping of banking services. 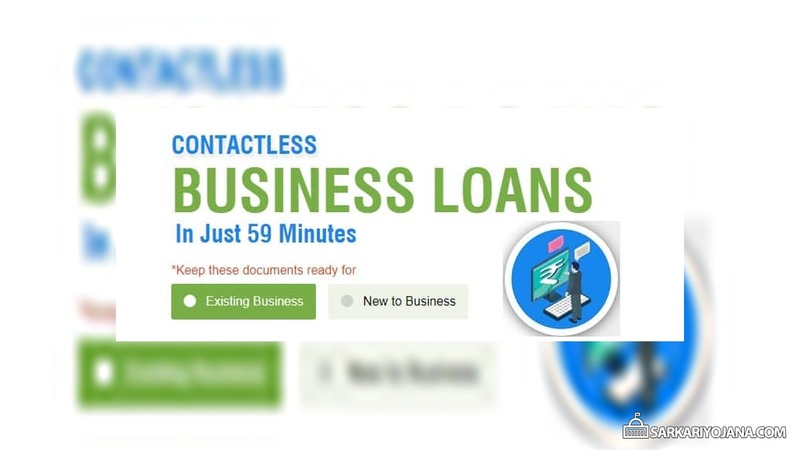 The newly launched common web portal for MSME business loans will reduce the loan processing and turnaround time from 20 to 25 days to just 59 minutes. After the applicant gets in-principle approval, then the loans will be be disbursed within a time span of 7 to 8 days. 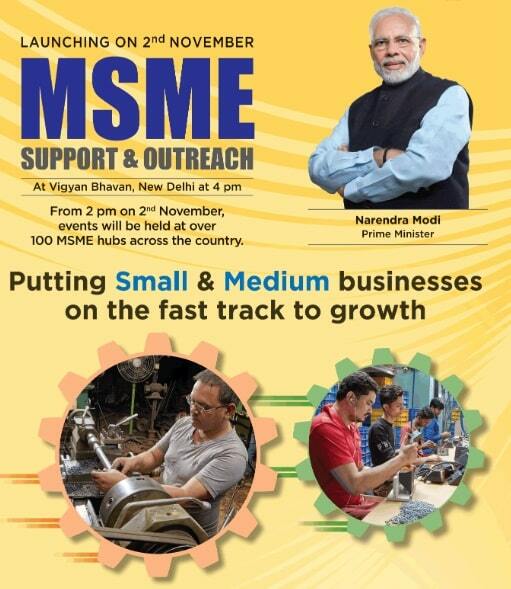 PM Modi launches MSME support and outreach initiative from 2 November 2018 through video conferencing. All the existing businesses and new businesses can fill this registration form by entering the necessary details like name, e-mail ID and mobile phone number. OTP will be sent on the registered mobile number which needs to be entered for verification and then click at “Proceed” button. Here candidates have to provide data, select banking partners and get approval for sanctioning of loans. All the existing members can make login to access their details from the next time by just entering their e-mail ID or mobile number. 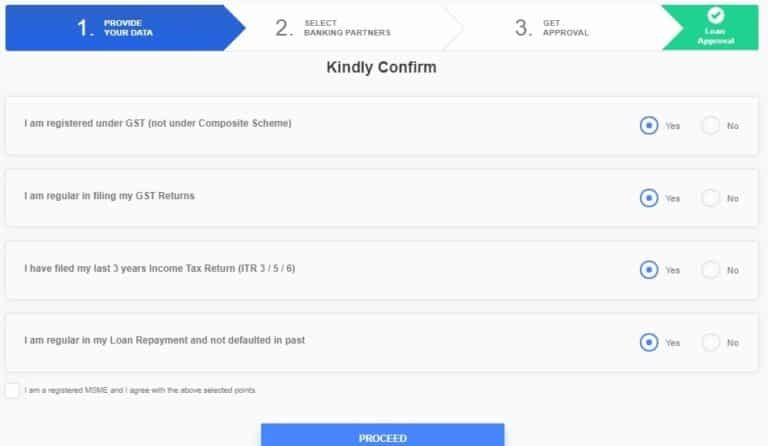 After the submission of online application form by the businesses, this portal will perform back end checks before loan approval. This web portal is linked with the ministry of corporate affairs and credit information bureau for fraud and products check before sanctioning of loans. For speedier loans sanction, businesses needs to submit their GST and Income Tax (IT) details along with bank statement. SMEs would be able to access credit easier and faster. All the SMEs will now have an improved cash flow system. SMEs will gain more access to the market to sell their products. SMEs will get simpler regulatory compliance and ease of doing business. All the SME employees can now avail more social security benefits. SMEs would also be benefited from formalisation and GST enrolment. Department of Financial services, Ministry of Finance is the nodal agency for the implementation of MSME Outreach and support drive to be started by the PM Narendra Modi on 2 November 2018. Access to financial services and products. Usage of financial services and products. Quality of financial services and products. Central govt. has also launched a new Jan Dhan Darshak App which will serve as infrastructure locator for banking services. This app aims to bring banking services within the reach of common man through over 5 lakh banking touch points. This touch points will include bank branches, ATMs, banking correspondents, common service centers (CSCs) and post offices. GIS (geographic information system) mapping would help in identification of the nearest banking touch point. Now, the govt. is focusing on ensuring that every household must get banking services within 5 kilometers range from their houses. I am a interpioner. My business is pickle items. How to online registration form for loan application. Please help me for loan application in business loans.